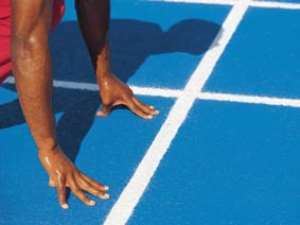 The Ghana Athletics Association (GAA) is preparing feverishly towards this year's World Junior Athletics Championships scheduled to take place in Italy on July 13. As part of their preparation, the association has designed a series of programmes including zonal competitions to select the best athletes to represent Ghana in the impending competition which will see the nation competing with most of the athletics giants in the junior ranks. Speaking to the Graphic Sports during a telephone conversation, the General Secretary of the GAA, Mr Ekwow Wilson, said at the moment his outfit is yet to select a team for the upcoming fiesta.However, he said the team would be selected after the ongoing Greater Accra sports festival which is expected to end on May 15. He explained that "currently we cannot tell who will be representing the country because we've not done the selection yet, even though our athletes have been training for quite a long time". On his part, the Chief coach of the GAA, Mr S.S. Atuahene, said in a separate interview that he almost through with the zonal competition that brought together all the junior athletes in Ghana and would embark on another phase as a continuation of the selection process. "So far those we selected from the various zones after their remarkable performance in the zonal contest will further compete among themselves to enable us select the best athletes for the games". Mr Atuahene said this time around quality will be the hall-mark of the association as they prepare to break and set new records when the starter's gun is fired to signal the commencement of the race.The coach did not disclose the number of events the nation will be participating in.